Um, I’m kinda over being back to work/grad school. I actually fell asleep in the bathtub, I was so exhausted.Next week will get easier, but for tonight I’m curling up in my pajamas with a good beer. 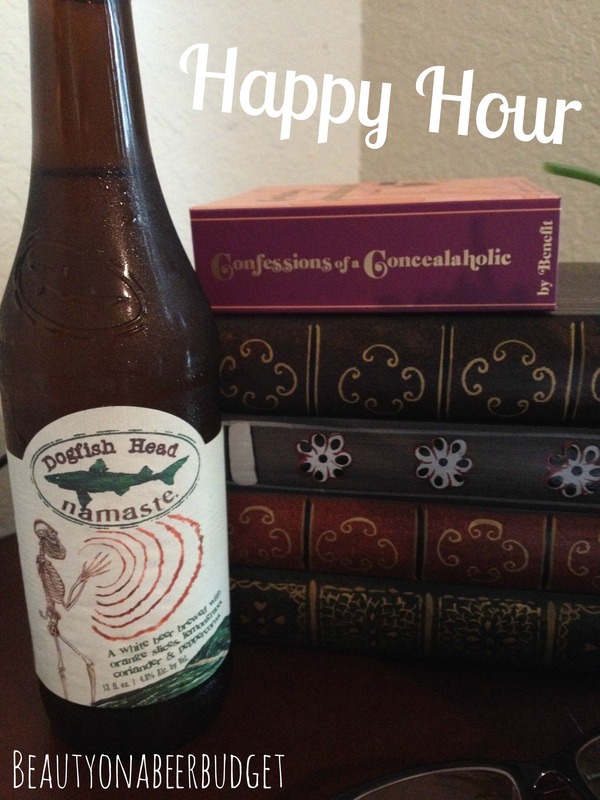 So whether you’re about to head out and party this weekend, studying and doing school work, or you are going to be joining me in hibernation, you’ll love both Benefit’s Confessions of a Concealaholic and Dogfish’s Head Namaste.